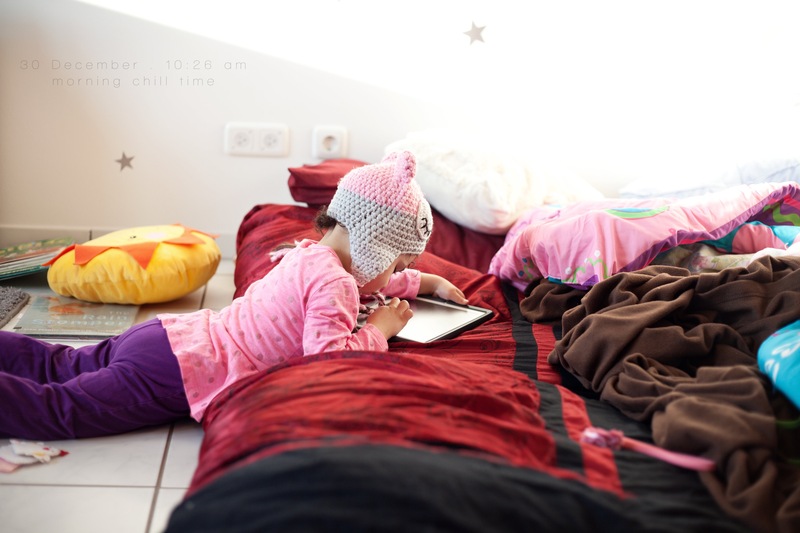 Some mornings I just need a little extra time… Mya will play in her room with her blocks, read a book or two, or ask me if she can play with my iPad. This was an iPad morning (she was on her Reading Rainbow app today – LOVE it!) She apparently also thought digging out this hat, that doesn’t fit her anymore, was a good idea. In fact – she wore it off and on all day! NOTE: I have no affiliations with reading rainbow – we just love it and wanted to give a shout out – 90% of Mya’s allowed iPad time is with this app, by her choice, and she asks for it every night before bed. Best subscription I have ever decided to get, ever.